Although its been three weeks since I have started my summer break....many of my former parents are asking me for more summer resources, especially in writing. 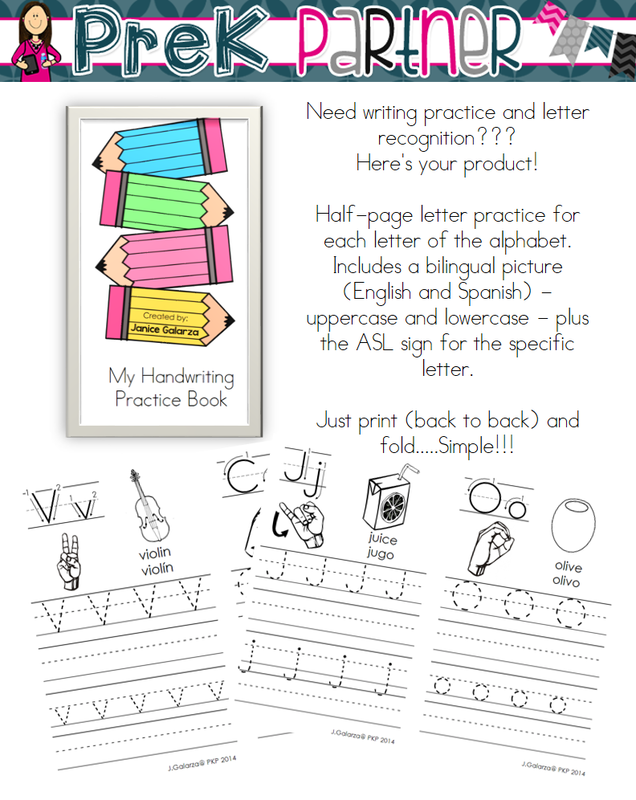 I have made this bilingual handwriting product, with ASL included! Incorporating ASL in the Classroom! An Empty Classroom and a Happy Heart!